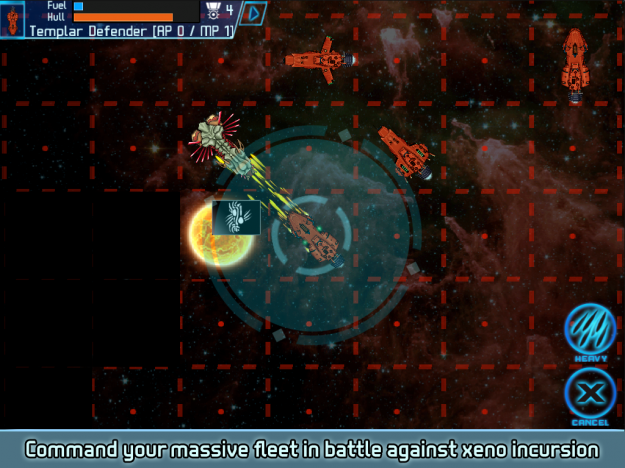 Empires in Exile, like Star Traders RPG before it, is a 2D grid-based game set in space. Unlike RPG where you navigate established shipping lanes and take jobs or explored colonized or surveyed worlds, this time you are the hand that establishes and guides an empire of your own. It seems similar in scope and concept to BattleTech’s Interstellar Operations, if it were played during the Star League era since you are essentially the Star Lord. Different factions within your empire quarrel, sometimes with trade restrictions or clandestine operations. And sometimes with open warfare. Either way, it’s in your interest to quell the problems at home while expanding your empire. Then the aliens attack. That’s right, EiE has at least one or two enemy alien factions to contend with on top of and internal problems; and outfitting your military is oddly one of the more tedious yet somehow most satisfying part of the game. 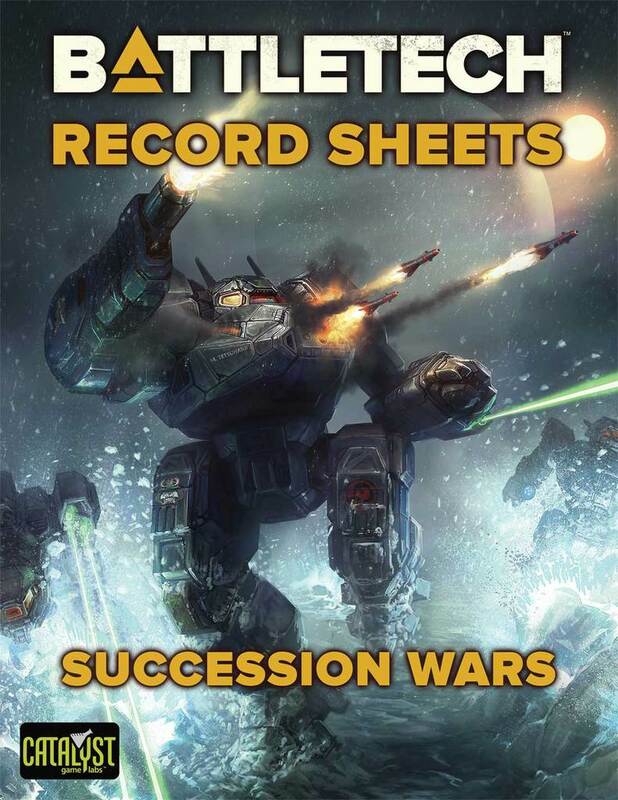 Early on you begin a research tree to expand your technology to enhance and expand your cities and colonies, your planetary defenses, your navy and invasion troops. The game does include the Templar knights in their powered armor from their Templar Assault game later on in the game. 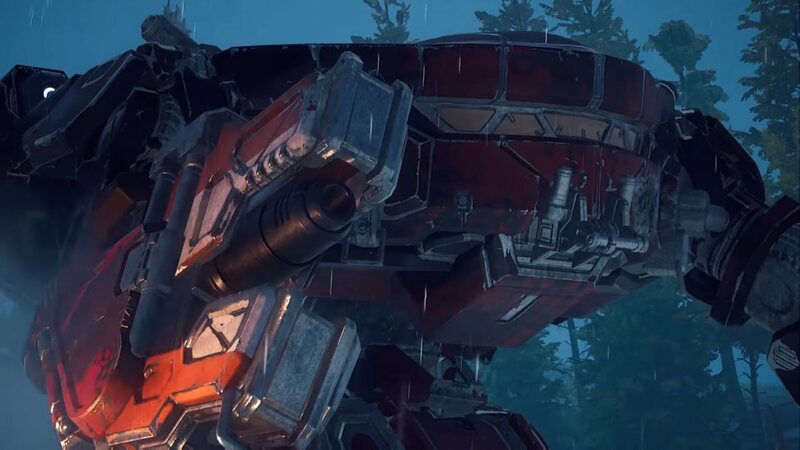 A Titan class suit is said to be on the way. The way it’s described I would equate it with an assault battle armor or protomech. 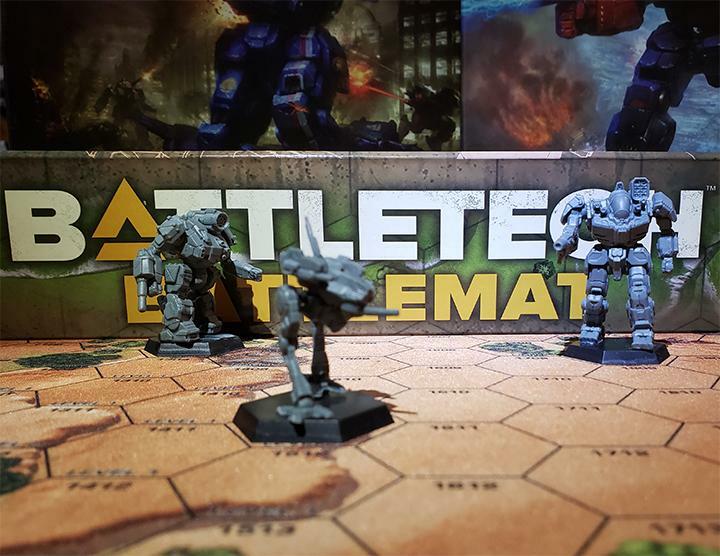 The Trese Brothers are fans of BattleTech so you’ll see more than one nod to the franchise, though graphically you won’t see more than the space map in actual gameplay. 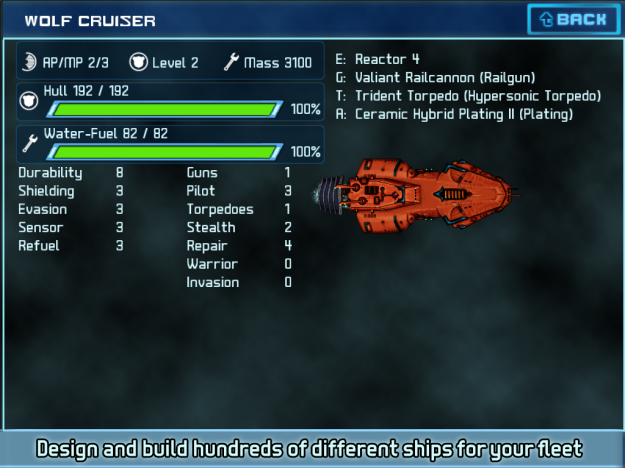 As your base tech expands, so do new classes of ship as well as the weapons and armor with which to upgrade them. There is event exposition when you reach points critical in the development of your game, and of course normal dialog boxes to explain what happens next. There is a LOT of ‘next’; like the rest of Trese Brother’s games, there is always something to do that has you looking at your watch for ‘just a few more minutes’ of play. I recently spoke with Andrew Trese about the release of the game. Andrew provided all the artwork for the game as well as much of the design. 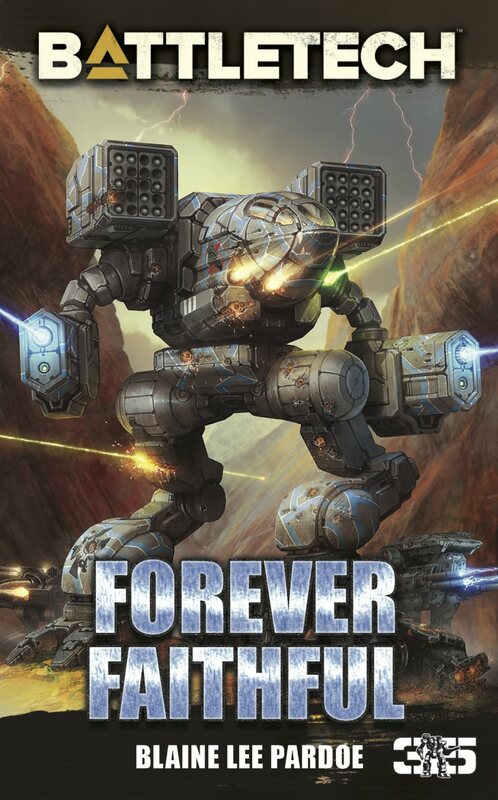 Ron: Did the idea for Empires come about from all the forum talk about Masters of Orion or had the idea been kicked around for a while? Andrew: Cory has always dreamed of building a 4X game. I have always dreamed of building a Fantasy RPG. After Heroes of Steel, it was Cory’s turn! We’ve both always loved this genre of game, and it turned out to be the perfect way to continue the story of Star Traders, and pave the road forward in the history toward where Star Traders 2 will start. Ron: Could you discuss a bit about the setting’s origin as a tabletop game? Your games often make references to dice rolls. 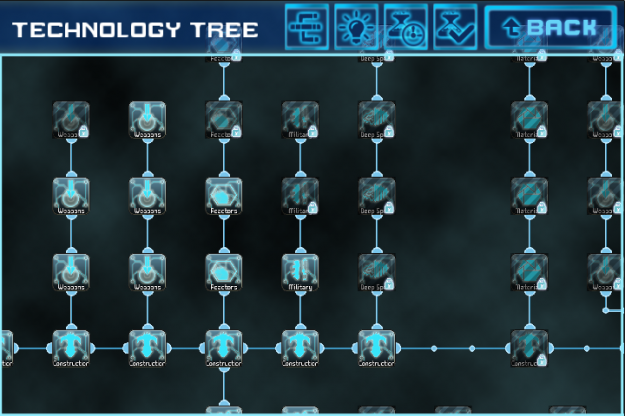 The technology research tree is massive. Lots of upgrading to do here. Andrew: Cory and I grew up making pen and paper RPGs and tabletop games. We started with a fantasy RPG and over the years, our love of genres took that core system to many places, including the Star Traders universe. The world, lore, history was developed through a whole series of crazy pen and paper RPG campaigns, ranging across a wide variety of time periods. I am not sure there is a better way to build a mythos and a world than the role-play it. Ron: Reminds me of how I hear settings like Dragonlance began. I notice that none of the Terran or Xeno 4X ship designs appear in Star Traders. Why is that? Andrew: The ship design for the first human fleet is built directly from the original Star Traders ship #1, the venerable Vae Victus. But, let’s be honest – Star Traders was released four years ago! So, we needed to re-think and re-do the style and the depth of detail. Everything is animated now, and very high definition in comparison. The Vae Victus is the core hull at the base of all the modular ship designs that make up the first human fleet. There will be more fleets in the future, and I hope to do the same – base each one off a famous Star Traders ship. But, the 4X fleet features 16 ships in total, from transports to cruisers, battle carriers, and fighters. With the Vae at their base, we had to add on a lot of detail, wings, prows, and make all sorts of modifications to get the right look and variety across all 16. Ron: I admit you’ve come a long way in a few years. Will the different factions be more distinctive from each other for players new to the universe? Andrew: 4X Empires gives a different type of opportunity to differentiate the Factions. As an individual Captain in Star Traders RPG, you see one side of the Factions, but you are mostly working for them. Now, in 4X Empires, you are trying to manage a group of them into surviving, and keep them from killing each other, or bringing down the entire empire with their rivalries. I really love the intro-political system of 4X Empires, it’s very unique. You are doing politics inside your empire, not outside. In future updates, we’ll see more and more differentiation between the Factions. 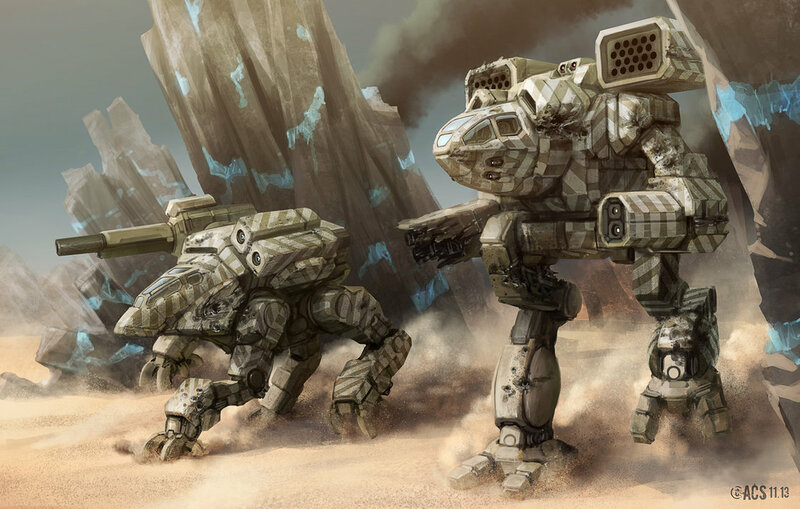 I think the most exciting thing that is coming is faction-specific techs in the tech tree. That will really blow open the door to introduce a whole new depth to the Faction bonuses. Ron: Unlike a lot of developers, you two are VERY interactive with your fanbase; including a lot of those updates based on their input and suggestions. But there are only two of you. How do you find all the time to work on new projects, make regular updates on the old, AND keep up with forum happenings? Andrew: I have no idea. We don’t sleep very often, and we have a computer program (RescueTime) that keeps us on task. We get half our energy from talking to our community on the forum, Twitter, and Facebook – so that’s a critical part of every day. It’s hard to imagine how big an impact on my day the first twenty posts on our forum can have. We read every single post. Most of the time I think we’re crazy, but our dedication has come back to us in a big, healthy community. Ron: Talk of a Star Traders 2 has been echoing around social media for a while, but outside from being the same setting they’re said to be nothing alike. Would a true sequel be an advanced version of the original sandbox game? Andrew: At its design core, Star Traders 2 will be a very advanced version of the original Star Traders RPG. I’ve always loved the Firefly series, and to me, Star Traders 2 will allow a captain to get more of that detailed experience. Get to know your officers, their likes, dislikes. Work with specific contacts on planets, complete jobs in many different ways based on who you know, who owes you a favor, and whose chasing you. The change in setting is really a change in time. Star Traders RPG takes place at the same time or just after Star Traders 4X Empires starts. Star Traders RPG takes place in one of the Quadrants [of space] re-settled after the Exodus. In 4X Empires, you play the leader of the many other Quadrants settled after the Exodus. In Star Traders 2, the multi-Quadrant universe has been re-united by a major technological break-through, so you’ll have a huge amount of space at your finger tips. Ron: That’s sounding a tad less than Firefly and a bit more like Star Wars. Think you’ll eventually work another Templar Assault game into your overloaded work schedule? Andrew: We’re always jostling about what we will make next. It’s the hardest decision that Cory and I have to make! As we are rolling out our “next generation” of games (all animated, highly improved art, on Android, iOS, Steam, PC, Mac) we are looking back at the Android-only games and definitely pining away for re-creating them in this new world. 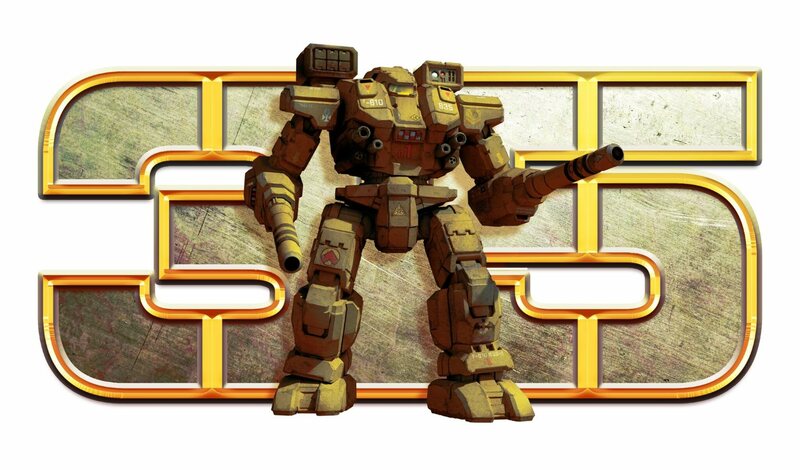 So, Templar Assault 2 or Cyber Knights 2 – they are both on our dream game list! Can’t wait. though unfortunately for both the developers AND the players, there aren’t enough hours in the day. 4X Empire in Exodus is also in the pipeline to be added to the Steam and Desura communities as of this writing. 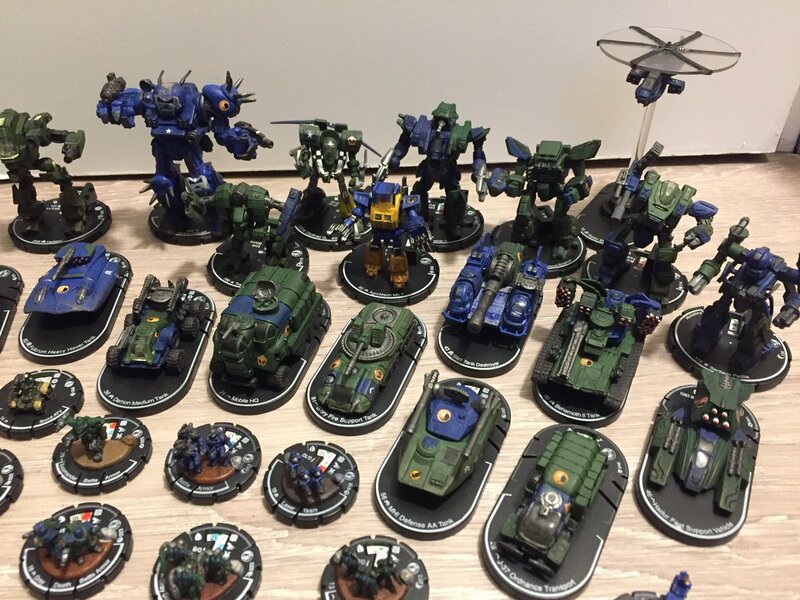 This entry was posted in News, Reviews, Video Games and tagged Android, Board Game, Interviews, iPhone, Reviews, Websites on 2014/07/16 by Ron.